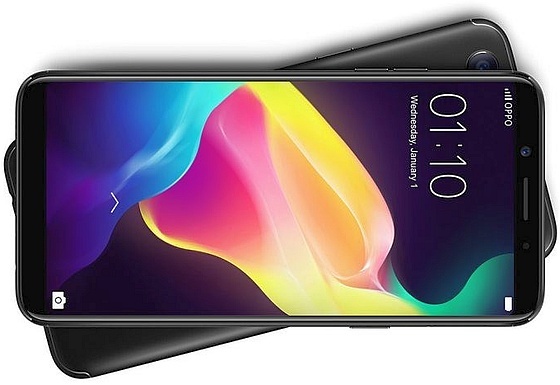 One month after launching in the Philippines, the 6-inch Oppo F5 Android phablet arrives in India, a very good market for selfie-centric handsets. The most attractive feature of this device is the 20 MP front camera with an AI-assisted beautify mode that promises to deliver amazing selfies. The Oppo F5 made its debut last month in the Philippines as a "Selfie Expert" device, and now it hits India as well. While many handsets that focus on selfie quality while keeping the price reasonable these days go with a dual camera setup, the 6-inch Oppo F5 comes with a single camera on each side. Fortunately, the results these cameras can achieve are pretty good in most scenarios. This handset comes with a generous 6-inch full HD+ display with small bezels and is powered by a 2.5 GHz MediaTek MT6763T octa-core processor. The 16 MP main camera has an excellent f/1.8 aperture, while the 20 MP selfie shooter "defies the paradox of marrying Artificial Intelligence technology with organic beauty to create most natural and stunning selfies." That's a rather bold statement and, according to most Oppo F5 reviews already online, it is also true to a certain degree. The Oppo F5 runs Android 7.1 Nougat with ColorOS 3.2 on top. This customized firmware comes with a powerful camera app that features advanced manual controls, as well as a comprehensive theming engine that allows you to customize virtually any element of the phone's interface. Indian customers can only get the 4 GB RAM & 32 GB internal storage variant for now, while the one with 6 GB RAM and 64 GB internal storage space is expected to become available next month. The first variant mentioned above can be acquired from Amazon India for INR₹19,900 - roughly US$310, with free shipping and all taxes included. Unfortunately, the potential users are not happy with the processor chosen by Oppo for this handset. Most comments on Amazon target this part of the phablet, going as far as "Worst phone in the history of mankind," so it looks like the Oppo F5 might not become too popular unless its maker updates it quickly with a more popular Qualcomm Snapdragon processor.